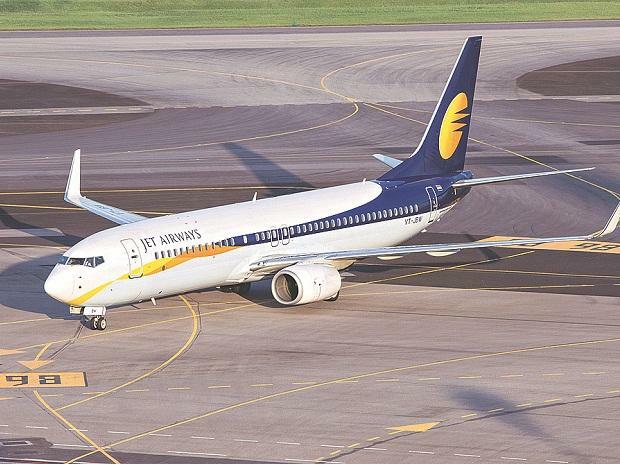 With the Jet resolution plan collapsing after Etihad’s exit, pilots of the Naresh Goyal-led airline have announced their decision to stop flying from April 1 if there’s no rescue deal by then. Jet pilots, like other employees of the airline, have not been paid salary since December. While lenders attempted once again to save Jet from falling, the Directorate General of Civil Aviation too called an emergency meeting. DGCA, however, did not stop Jet Airways from making passenger bookings despite mass cancellations and grounding of planes. It only stated that the airline was now operating 41 aircraft compared to 103 in October. The Jet pilots, quite determined to translate their threat to action, took a collective decision to stop flying from April 1 at the annual general meeting of the National Aviators Guild in Mumbai. "It is a collective decision of the pilots and we hope resolution is achieved by month end. Our interest is that the airline survives and jobs are protected," said Asim Valiani, pilot union's vice president. After the meeting, nearly 200 pilots gathered at the airline's headquarters, seeking an assurance from the management on the way forward. The pilots’ union is not issuing a strike notice or a directive. A meeting with chief executive officer Vinay Dube was also planned for later in the evening. Till the time of going to press the outcome of the meeting could not be ascertained. The airline has defaulted on salary and vendor payments. As of now, full salary of January and February is pending, along with 87.5 per cent of December. The airline, which has been unable to secure funding from banks due to the failure of resolution process, is cancelling more than 250 flights a day, forcing Aviation Minister Suresh Prabhu to do an emergency review. Senior executives of the airline including its CEO Vinay Dube had a meeting with civil aviation secretary Pradeep Singh Kharola and DGCA officials. “DGCA has instructed the airline to comply with the relevant provisions of the applicable laws for facilitation of passengers regarding timely communication, compensation, refunds and providing alternate flights wherever applicable,” said a senior DGCA official. Jet’s business has shrunk considerably and executives have raised doubt whether the current operation would be enough to even cover for daily expenses. With 41 aircraft, the airline is now operating only around 150 daily flights. Aircraft lessors have deregistered 15 aircraft, seeking to deploy those with other operators. Meanwhile, the airline’s engineers have raised the issue of safety. In a letter to the regulator, they said the issue of payment can hamper the safety of the airline’s aircraft. “Jet Airways was also directed to ensure that no pilots, cabin crew, engineers be rostered on duty who had reported stress of any nature. Additionally, all such staff should be current with all mandatory training requirements. DGCA is continuously monitoring overall situation and based on the same, will take appropriate steps by the end of the month, if needed,” the official said. Many Jet pilots, out of a total of 1,600, are planning to leave the company and join other carriers. So far only 200 odd have left the airline during the ongoing crisis of the last few months.